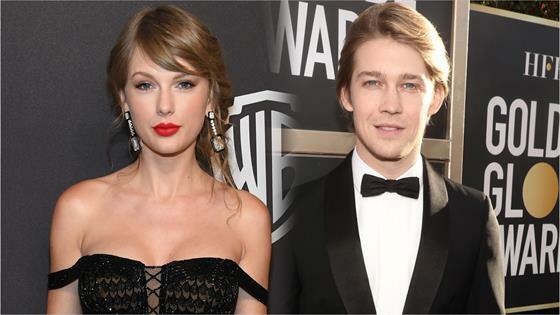 Taylor Swift and Joe Alwyn had a date night at the 2019 Golden Globes! On Sunday, the "End Game" singer surprised everyone when she took the stage in a stunning Atelier Versace dress to present the awards for Original Score and Original Song alongside her Cats co-star Idris Elba. In addition to presenting, Swift was also seemingly there to support her longtime love, Alwyn, whose film The Favourite was nominated for Best Motion Picture — Musical or Comedy at the ceremony. Video posted to Instagram by Elba's fiancée Sabrina Dhowre shows Alwyn in the audience clapping as Swift presented. The singer even appeared to look over and smile in Alwyn's direction from the stage as he sat with his co-stars. After presenting, it didn't appear that Swift ever made her way to the audience with Alwyn during the ceremony, but the couple met up later at the after-parties. Following the ceremony, Swift and Alwyn attended the FOX, FX and Hulu after-party. 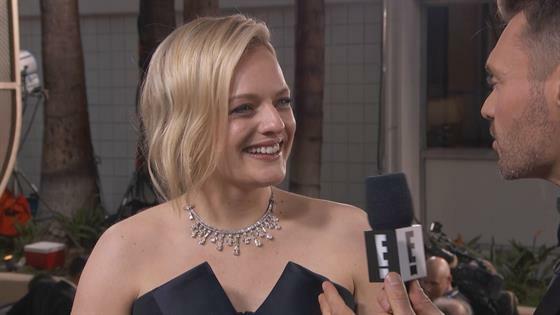 According to a source, Swift beelined to The Favourite cast's table when she arrived and was later spotted chatting with Alwyn. The couple later headed to the Netflix after-party, where they were spotted holding hands. "They were ushered in very quickly to a back booth on a platform and hung out there for 10 minutes," an insider tells E! News. "There was no obvious PDA—just them together whispering to each other closely in a booth." The actor and singer then arrived at the InStyle and Warner Bros. to a "sea of flashing cameras." A source tells E! News, "Several people approached them. They were by each other's side saying hi to people." Alwyn and Swift arrived to the CAA after-party towards the end of the night and made a brief appearance. "They weren't showing any PDA but it was clear they were together." a source tells E! News. "They sat in a couch at a table with their drinks in the back of the party and were talking with several people. They looked at each other a few times and it seemed like Joe was trying to make sure she was okay and gauge when she wanted to leave. They then were escorted out of a private exit together." Seems like Swift kept her word, she was there when Alwyn was the toast of the town, babe.